In this section, we consider several models, which are commonly used for specifying stationary conditionally homoskedastic processes. for some constant covariance matrix Σ. Condition [4.52] does not require that the tW be independent. If we assume they are, the process is called independent white noise. 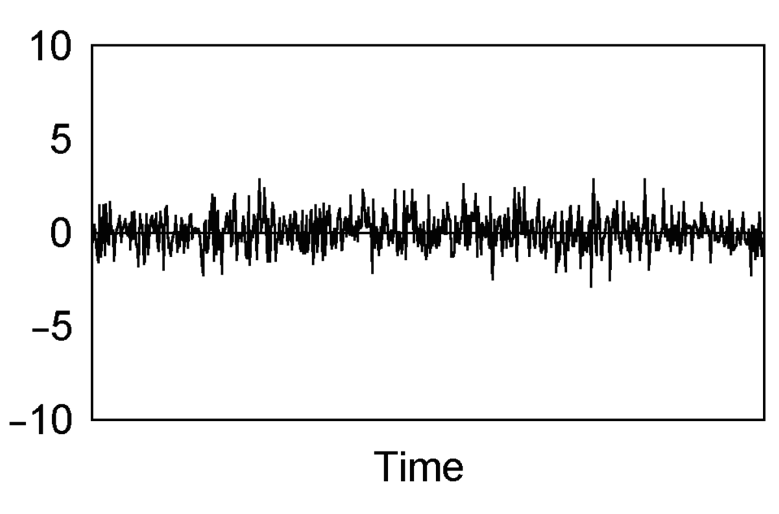 If we further assume the tW are joint normal, it is called Gaussian white noise.4 A realization of a univariate Gaussian white noise with variance 1 is graphed in Exhibit 4.10. Exhibit 4.10: A realization of a univariate Gaussian white noise with variance 1.